I cannot tell you how much I love your product. I'm on Jenny Craig to lose weight and the food can be expensive. But with your program I am able to put in my recipe and modify the ingredients to achieve low fat recipes. I have told everyone that this is the best. 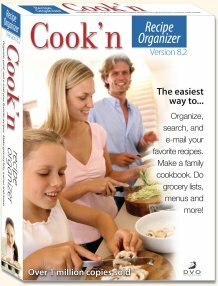 Cook'n is the ultimate Diet Software! When printing out a recipe or cookbook, Cook'n gives you the option to include nutritional information right underneath the recipe. Now you can plan menus based on dietary needs and tastes. 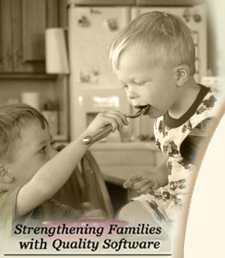 Prepare healthy, delicious meals for the entire family.